There is more than one artist represented here: 1. Purple Haze is an alias of Sander Van Doorn, and is best known for the 2005 trance smash hit Adrenaline. 2. Purple Haze is the name of a co-ed a cappella group from Northwestern University. They were created in 1997 and have since produced 5 albums: "Three Seconds..." (1999), "Hooray for Everything" (2000), "Out of the Band" (2002), "Streaked" (2004) and "Rutherford P. Haze" (2006). They have been featured four times on the annual national compilation "BOCA" (Best of College A Cappella). 1. 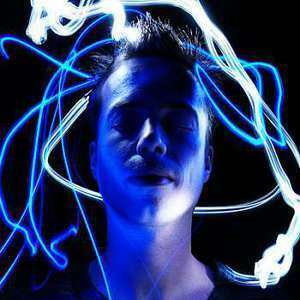 Purple Haze is an alias of Sander Van Doorn, and is best known for the 2005 trance smash hit Adrenaline. 2. Purple Haze is the name of a co-ed a cappella group from Northwestern University. They were created in 1997 and have since produced 5 albums: "Three Seconds..." (1999), "Hooray for Everything" (2000), "Out of the Band" (2002), "Streaked" (2004) and "Rutherford P. Haze" (2006). They have been featured four times on the annual national compilation "BOCA" (Best of College A Cappella). 3. Purple Haze were a garage/proto-punk/psychedelic band from Canada in the late 1960's. Their genres include blues, jazz, rock, indie, and ballad.